With the open-air venue and the setting sun, the best of summer is experienced at the V&A Waterfront’s Scintillating Sounds of Summer Concert Series. 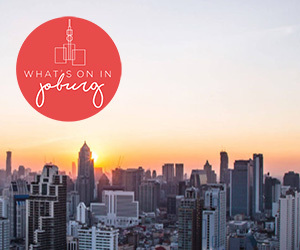 Every week a different South African music act performs in the amphitheatre right alongside the food court, allowing locals and tourists alike to grab a bite to eat and enjoy some of South Africa’s finest acts as they watch the sun go down. If the breeze is playing along then the distinct aroma of KFC, though stifling at first, eventually dissipates and is replaced by the far more appealing – and more appropriate – smell of seafood from the surrounding eateries. Having already hosted such names as Ard Matthews, MacStanley and Plush, this past week featured Bed on Bricks, a band which has been on the scene for 10 years now. Year in and year out, bands come and go; so the fact that Bed on Bricks has managed to stick it out for so long – and with four albums to their name – is a major accomplishment, particularly as their sound tends towards the niche. Made up of Mike Hardy on vocals, Dave van der Linden on guitar, Schalk van der Merwe on bass and Tim Rankin on drums, their sound professes to be “part reggae, part African funk hop, mixed with free flow improv”. The band is from Cape Town and is renowned as a live act. This is indicative in their performance, as they rile up the audience after a couple of songs. The absolute highlight was certainly pausing a song, with the four musicians freezing like statues, building the tension within the audience as everyone waited for the music to explode back to life. They harp on about Cape Town a lot, referencing it in their music a number of times, which actually becomes rather tiresome. Classic tracks such as Funny and Humanarium worked a lot better and are truer to their label as ”cross-genre”. The rest of the time they seem to change genres from song to song as opposed to crossing genres within one song. Having said that, as they broaden their scope, at least they make every experiment work. The ambience at the Waterfront’s amphitheatre is more family-oriented, owing to its location and the time of day. It feels incongruent to watch a band like Bed on Bricks in a venue such as this, but it does enable the music to reach a younger crowd and helps to introduce children to local artists. The Waterfront’s Scintillating Sounds of Summer Concert Series is a fine fusion of good vibes and local music, allowing everyone to enjoy some of the best things South Africa has to offer.